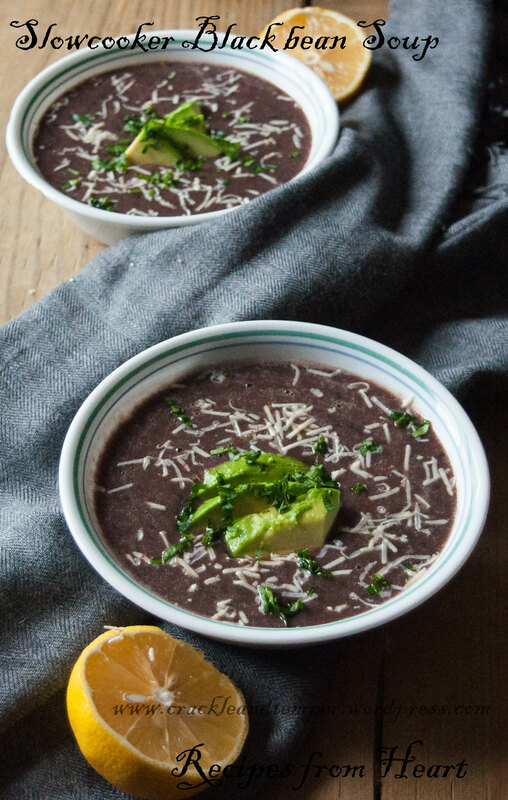 After all the mind less eating during holiday time , it is time to make some delicious healthy soup which will kick start your mind full eating . 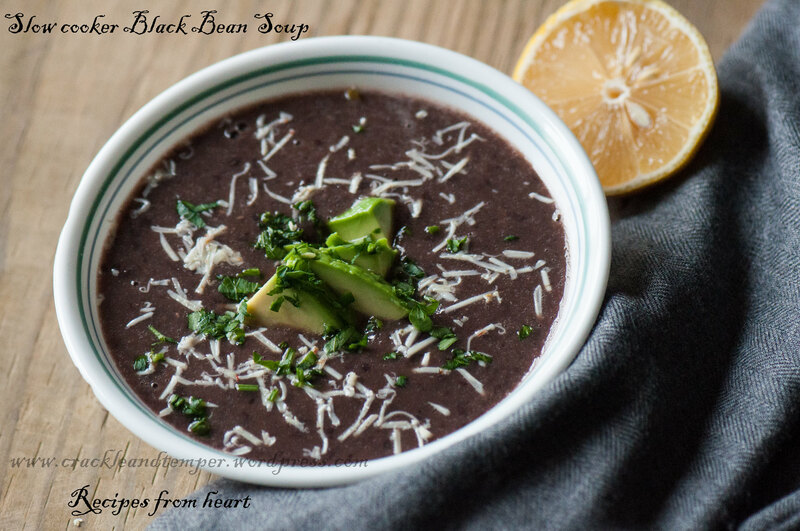 In order to do that I am bringing a delicious black bean soup made in the slow cooker and for your meatless monday. I have not blogged for meatless monday for last two weeks because of my busy holiday schedule and crazy crazy baking . Now I am back to my track regular workout , mind full eating and blogging, the holiday season did really get into me this time with parties after parties. 1. Soak the beans over night if you are using dried ones , you can also soak it in hot water for 30 minutes for a quick soak . If using canned then make sure to rinse it thoroughly before you use . 2. 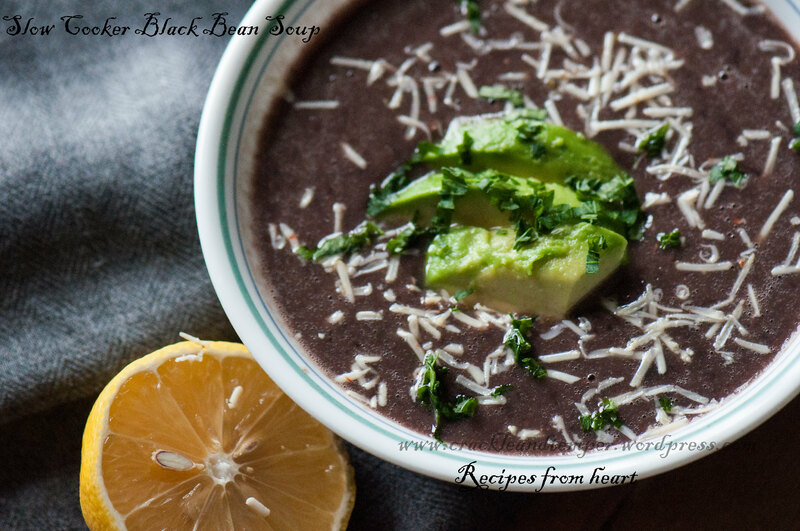 Now place all the ingredients except lemon juice and which are under garnish in the slow cooker set it to high . 3. Open after 6 hours and the beans would be cooked.